Jon Coffelt is a full-time artist living and working in downtown Manhattan. He uses many objectives and mediums to make his art including appropriation, illustration, sewing, book arts, collage, painting and sculpture. As a post-modernist, Coffelt considers himself a colorist who works primarily with ideas of chaos and order. Coffelt’s works have been shown internationally, including exhibitions in Kyoto, Barcelona, Montreal, and London. 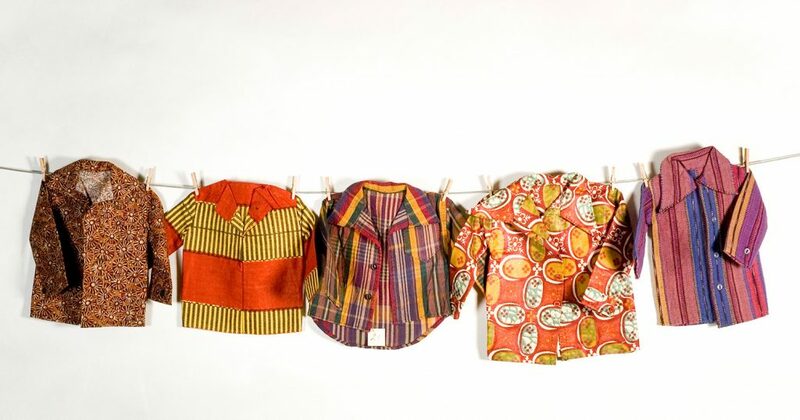 People have strong memories associated with certain clothes. They keep them for a reason. I’m taking a memory and making it more precious to them. I stand back in this process and let people tell me their stories. Their stories are just as important to them as mine are to me. This work is experiential in its very nature. I produce miniature clothes as an intimate homage to acquaintances, and friends.